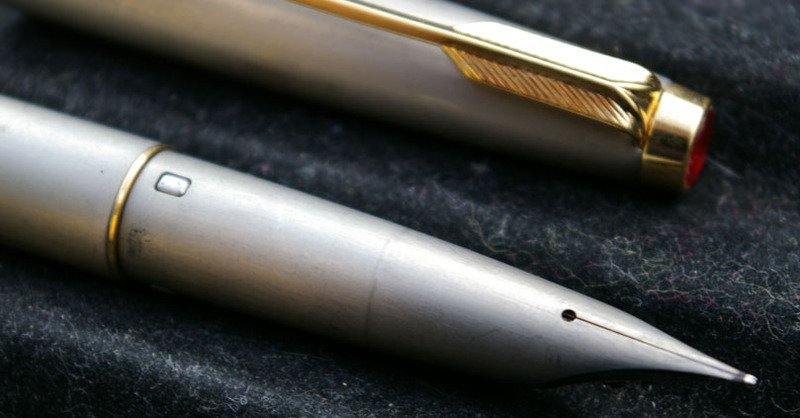 I chanced upon this great in the field find... A Parker T1 , in near mint condition. Bought from a former Parker, employee. 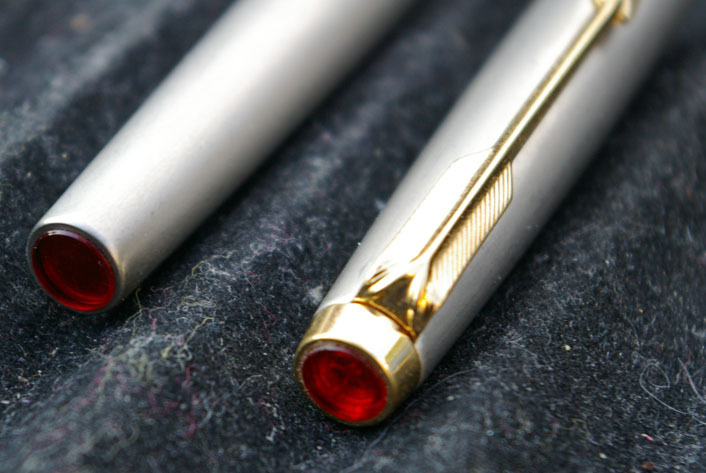 This model is one of the most sought after by vintage Parker Collectors.. I am fortunate to have another so , I am offering this one for sale.. 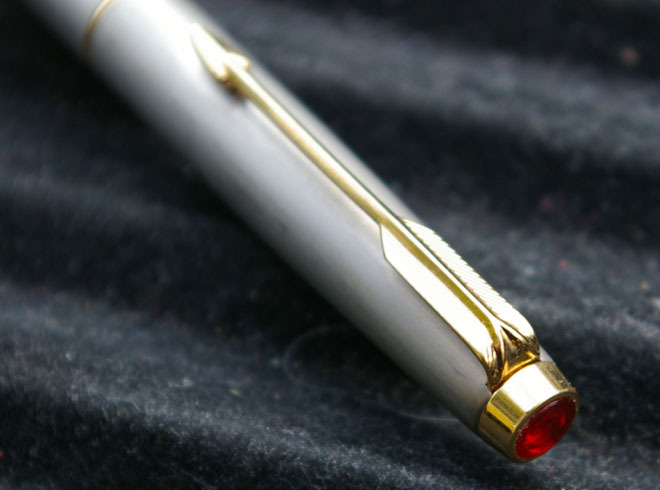 The pen is fitted with a Parker aerometic convertor.. It has been inked, but its' condition is near mint. 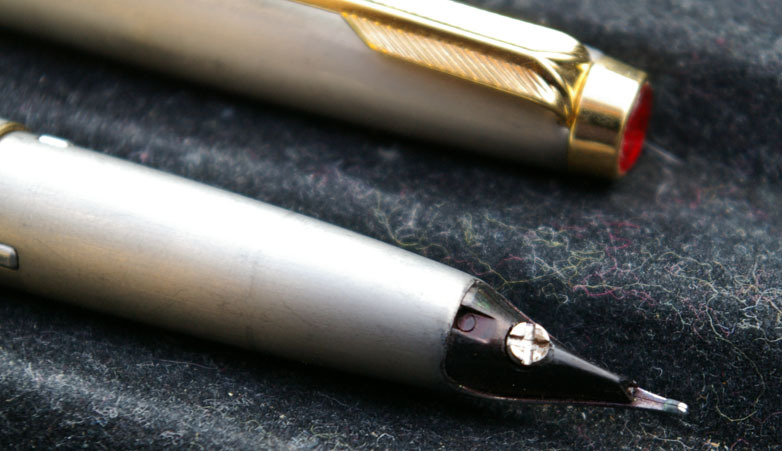 This pen is an industrial art award winner and is today considered a Classic Pen. I do not have the origional box or papers.. It does come in a Parker Gift Box. I prefer paypal but will consider alternative payment. I will ship international...charges to be calculated. Hi I was asked which finish is on this pen.. It is the lighter , smooth finish , as in Satin smooth. Edited by Tom Heath, 14 August 2009 - 15:53. A great piece to add to your collection. I had three , this is the final one offered here. Edited by chas, 13 April 2010 - 23:57.